Norwich primary schools - “Mischief Managed” - bringing the might of the brass section to 900 primary school children- trumpet, French horn, trombone and tuba. These instruments add drama to some of the world’s favourite film scores, and to follow on from World Book Day on 7 March CHROMA brings specially arranged music from films that are based on children’s books, including Harry Potter, Lord of the Rings and The Jungle Book. Undergraduate, masters and PhD composers' workshops at RHUL(Spring / Autumn term). ensemble work takes Abrahamsen Winternacht as stimulus piece. Norwich primary schools - Sgt Pepper project - bringing the excitement and innovation of the Beatles album to 900 primary school children. Undergraduate, masters and PhD composers' workshops at RHUL(Spring / Autumn term). ensemble work takes Edmund Finnis Focus/Pullas stimulus piece. Tides - the Heart of The Ocean project in Fair Isle 21-28 August, celebrating the island's designation as a research and demonstration Marine Protected Area. Supported by the Garrick Charitable Trust and the RVW Trust. Royal Academy of Music - Minimalist project - accordion, saxophone, bass and marimba project with post-grad composers. Undergraduate, masters and PhD composers' workshops at RHUL(Spring / Autumn term). ensemble work takes Philip Cashian Creeping Frogs, Flying Bats & Swimming Fish as stimulus piece. 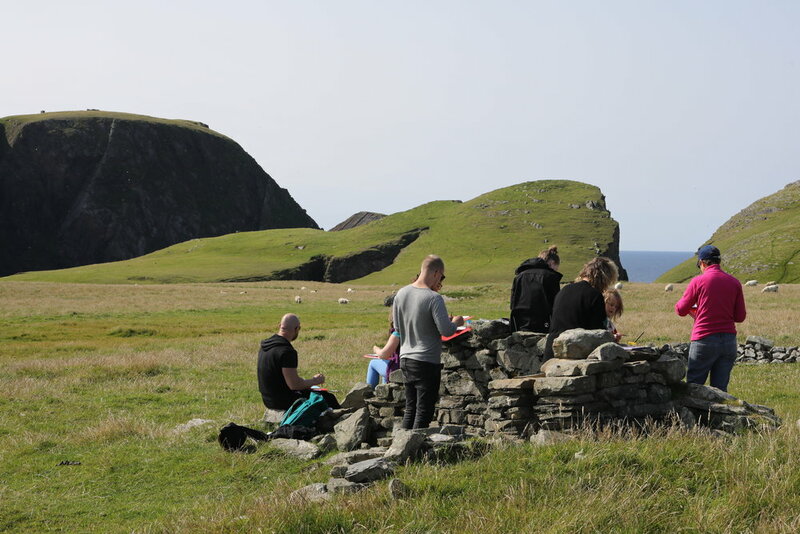 Half-Island, Half-Bird community and school project in Fair Isle 19-16 August with Kerry Andrew and sculptor Zack McLaughlin. Supported by The Ernest Cook Trust, The Golsoncott Foundation, The Hope Scott Trust and the Hugh Fraser Foundation. Royal Academy of Music - Takemitsu RAINSPELL project - flute, clarinet, harp, piano, vibes composition with post-grad composers. - Undergraduate, masters and PhD composers' workshops at RHUL (Spring / Autumn term) - ensemble project using Joseph Phibbs Ritual Songs and Blessings as stimulus piece. Royal Academy of Music - Glass Mountain project - accordion, clarinet, string trio composition with post-grad composers. With selected pieces being performed again at The Forge, Camden and RWCMD Cardiff. 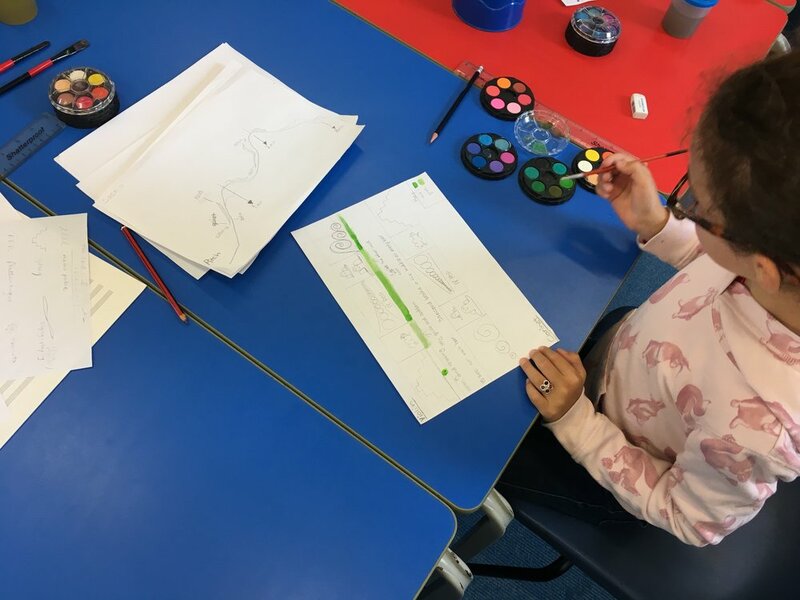 "I was so impressed with what they achieved with the children! Undoubtedly the best schools work I've seen." "a stellar display of musicianship and stamina - the girls were overawed and thrilled!"